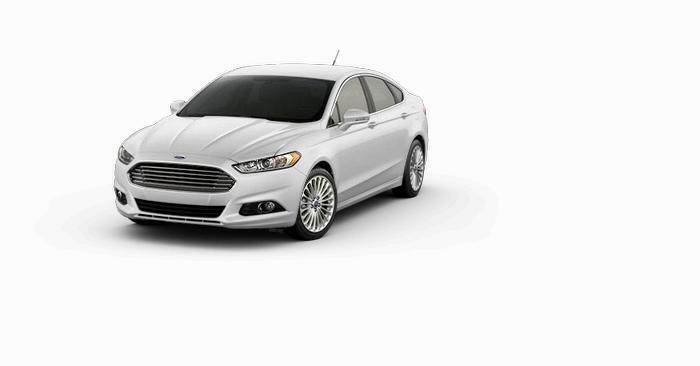 Ford Motor Company is recalling 2,108 model year 2019 Fusion Energi Hybrids. The vehicles may not adequately protect against direct and indirect contact of high voltage sources during normal operation, increasing the risk of injury. Ford will notify owners, and dealers will install a Bus Electrical Center (BEC) cover over the high voltage fuses free of charge. The recall is expected to begin April 1,2019. Mazda plans a voluntary recall of all 2004 and 2005 RX-8 sports cars along with some 2006s because of damage to the catalyst resulting from oil leaks in the RX-8's rotary engine. Mazda is preparing to replace the engines in many of its top of the line sports cars as a result of the recall. Any engine that does not pass a specific vacuum test will be replaced according to Mazda. More and more Ford mechanics and technicians are siding with consumers, charging that the troubled automaker is fully aware of a major flaw in Ford engines that causes the power plant to spit out spark plugs at random and without warning. They complain that Ford is covering up the defect while squeezing and short-changing technicians and mechanics tasked with repairing the problem for Ford consumers. Ford Motor Co. is recalling as many as 3.6 million cars, truck, and vans because a switch that deactivates the speed control can overheat and catch fire according to the National Highway Traffic Safety Administration. The agency warns in its recall notice that the switch problem can cause a fire under the hood. The latest recall covers 16 brands of cars, sport utility vehicles and trucks from model years 1992 to 2004. Ford Motor Company is recalling 296,004 model year 2003-2005 Ford Crown Victoria and Mercury Grand Marquis vehicles manufactured October 3, 2001, to August 2, 2005. The recalled vehicles have a lighting control module (LCM) that may fail, resulting in a loss of headlights. Ford Motor Company is recalling 53 model year 2015-2016 Ford Edge vehicles manufactured February 9, 2015, to August 12, 2016. Ford Motor Co. is recalling another 57,199 trucks and SUVs warning that the vehicles might catch fire because of a design flaw. The latest Ford fire recall covers 2006 and 2007 trucks and SUV equipped with the 5.4 liter engine. 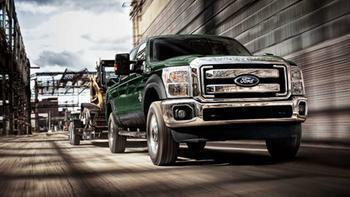 They are the 2006-2007 E-150, E-250, E-350 trucks and the 2007 Ford Expedition and Lincoln Navigator. February 7, 2005 Ford is recalling nearly 360,000 Ford Focus cars to fix a potential problem with their rear door latches. the problem involves about 358,857 vehicles from the 2000-2002 model years and stems from a build-up of corrosion around the rear door latches which can eventually prevent them from ensuring the doors are secure. Ford Motor Company is recalling 2,288 model year 2016 Ford F-250, F-350, F-450, and F-550 trucks manufactured April 5, 2016, to April 11, 2016. The tires installed during assembly of the vehicles may have sustained damage to the inner sidewall, possibly resulting in a loss of air or a tire rupture. Ford will notify owners, and dealers will inspect the tires for damage and replace them as necessary, free of charge. The recall is expected to begin in May 2016. Owners may contact Ford customer service at 1-866-436-7332. Ford's number for this recall is 16S17. Ford Motor Company is recalling approximately 850,000 2013-2014 Ford C-MAX, Fusion, Escape and Lincoln MKZ vehicles in North America for a potential issue with the restraints control module. The restraints control module in the recalled vehicles may experience a short circuit, illuminating the air bag warning indicator. Depending on the location of the short circuit, the deployable restraint systems (e.g., airbags, pretensioners, side curtains) may not function as intended in the event of a crash, increasing the risk of injury. The short circuit also may affect the function of other systems that use data from the restraints control module, including stability control. In these cases, the corresponding warning indicator lamps would also illuminate. Ford says as of Sept. 24, 2014, it is aware of approximately 745,000 vehicles in the U.S. and federalized territories, approximately 83,000 in Canada and approximately 20,000 in Mexico. The company says there are no reports of any accidents or injuries related to this condition. 2013-2014 Lincoln MKZ vehicles built at Hermosillo Assembly Plant, April 25, 2012 to Sept. 30, 2013. Dealers will replace the restraints control module at no cost to the customer. Ford Motor Company is recalling 11,783 model year 2017 F-150s equipped with ten-speed transmissions. The pin that attaches the transmission shift linkage to the transmission may come out, preventing the transmission from responding to movement of the shift lever. The disconnected linkage may cause the vehicle to not move forward or backward as selected by the driver with the shift lever. The National Highway Traffic Safety Administration says it will investigate problems with stalling and surging engines in nearly 725,000 Ford Escape and Mercury Mariner SUVs and Ford Fusion and Mercury Milan sedans from the 2009 through 2011 model years. The most commonly-cited problem is aptly called the "limp home mode." It's the condition in which the car suddenly drops to 20 mph and about 900 rpms. The function is built into the engine control system. It's supposed to be triggered only by a serious engine problem and is meant to allow the driver time to maneuver to a safe place before stopping. ConsumerAffairs has been hearing about this problem too. 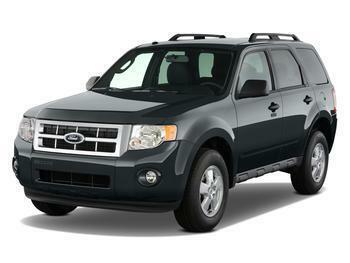 Randy of Jacksonville, Fla., posted a complaint in January about his 2010 Ford Escape Limited. "On January 23, 2013, the engine shut down on the highway while going 65 mph. Was is in the middle lane but was able to nurse it to the shoulder," he said. "Turned it off and restarted. Ran fine for another 20 minutes and the engine shut down again. Restarted and made it to the house. Don't tell me that there is nothing wrong Ford!" Katherine of Ellwood City, Pa., had a similar experience in her Ford Escape. "I was driving on the highway about 65 mph when suddenly it lost acceleration and went to 20 mph. I was on a bridge at the time with no shoulder and coasted to the end of the bridge to pull over. I could see the cars behind me fearing I would get hit," she said. "When the tow truck arrived he checked under the hood and started the car back up with no problem. I was able to get home. I am very worried now after reading hundreds of incidents of this same occurrence! This is unsafe and I am very upset." NHTSA said it has recorded 1,500 complaints about the problem, with three crashes and one injury so far. Besides stalling, NHTSA siad the affected vehicles may also surge unexpectedly as the rpms increase to prevent stalling during limp mode. An earlier throttle problem in the Ford Escape has been fixed, Ford said. It is not thought to be related to the stalling problem.